﻿ Perhaps the most contentious concept in music is that of death of the author, the theory that what is present in a piece of art should be distanced from the extraneous views or actions of the creator. On one hand, this allows music to be judged in a vacuum, away from any potential hazards that could muddy the waters in terms of how art is viewed, but for some acts, the line betwen the creator and their work is borderline nonexistent, and it’s nigh on impossible to parse out where the creator’s own views and a strictly musical persona differ. It’s a particularly important point to consider when looking at an act like Hotel Books, the project of singer and poet Cam Smith with a heavy focus on the depth and wrenching personal strife that characterises much of emo, but with the reality and rawness cranked right up in its breathless spoken word delivery. And yet, compared to acts like La Dispute or Being As An Ocean who choose to slather a thick layer of pretension over a similar approach, Equivalency doesn’t seem hindered by this. Smith might have the same verbosity and quick-thinking songwriting form as his contemporaries, but whether it’s the blatant imperfections that are incredibly easy to pick up on or a delivery that feels exponentially more human in its own measures, Equivalency is about as potent and genuinely moving as this sort of emo gets. It’s an uncensored look at a man brutally dissecting his own life choices, and it pulls no punches along the way. It’s worth looking into how Smith actually does that on this album too, mostly because what could’ve easily been grieving over a broken relationship in emo’s most bog-standard manner becomes a much deeper, more resonant exploration, conflating that with ruminations on his own faith and a lack of fulfillment in a music industry where success is defined by how hard an artist can sell out. It’s this conflation that proves to be the primary source of Equivalency‘s potency, as rather than examining each topic on a case-by-case basis, the confused, stream-of-consciousness-style delivery only amplifies the intensity of Smith’s emotions. Even with the clear intermingling of the pains of relationships and fame on Celebration and Take Very Little, a track like From Porterville feels a lot more abstract, dashing between subjects line by line in a manner that’s as raw and off-the-cuff as you’re likely to see. It’s borderline staggering how dexterous Smith’s writing is, and with a vocal performance ranging from hoarse, overtly cracking speech on a track like Fears We Create, to screams on Where I Am, weathered by the intense battering of emotion. It all leaves the actual music as somewhat inconsequential, but as far as it actually goes, Equivalency uses it sparse arrangements in a particularly insular way, whether that’s the warping, blackened post-rock of Take Very Little, or the rougher acoustic emo pickups of Van Nuys and I Knew Better, But Did Nothing. There’s not a lot to write home about as far as standout features go, but that also feels like the point, replicating the tortured bleakness of Smith’s mind as highlighted in the writing. It certainly does that well – buildups in intensity occur accordingly with more extravagant, horn-embellished passages on Fears We Create and I’m Almost Happy Here, and with the rest of the mix occupied by barren, windswept minimalism, Equivalency really does feel like a total package as far as an image of mental turmoil goes. And that’s where most of Equivalency‘s excellence comes from, in the fact that Smith’s portrayals remain so stark and frank, but are grounded in such a tangible level of reality. It makes this something of an admittedly uncomfortable listen at times, but the layered anxiety and forcefulness of Smith’s purging, Equivalency is never less than a truly spellbinding listen. As far as artists letting themselves bleed out onto their canvas go, Equivalency is about as personal and powerful as it gets. 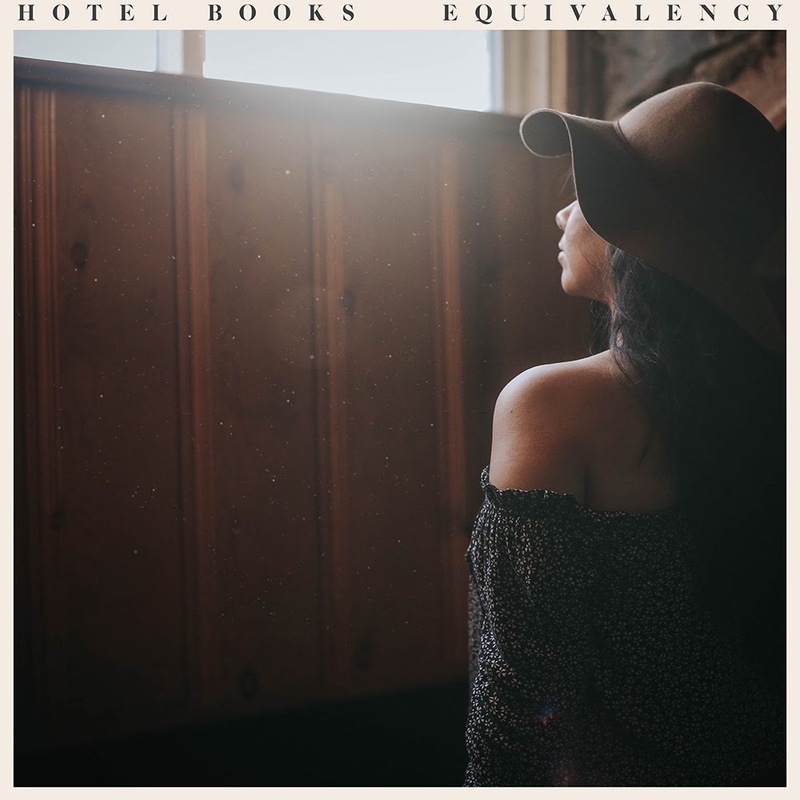 ‘Equivalency’ by Hotel Books is released on 9th February on Hassle Records.